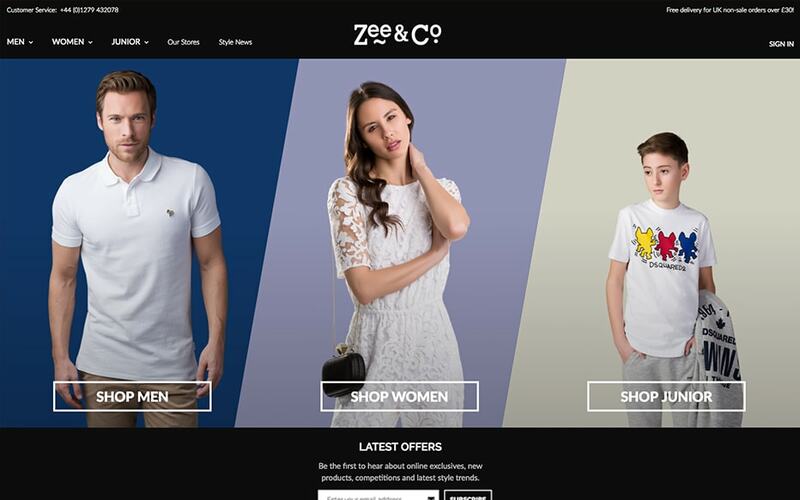 Zee & Co is one of the top retailers for the latest ladies, menswear and children’s designer fashion in​ ​the UK. After 30 years in business, Zee&Co have six branches located around the South East of England, as​ ​well as a thriving online store. The website was first built in 2007 on a bespoke platform. However, it was later transferred to​ ​Magento in 2012. Curbing concerns that the online store may hinder turnover for their bricks and​ ​mortar stores, the introduction of e​C​ommerce simply supplemented the business by attracting new​ ​customers and making themselves available to a global market. Custom solutions for sending e-newsletters in large volumes, which enabled Zee&Co to dramatically cut their costs. 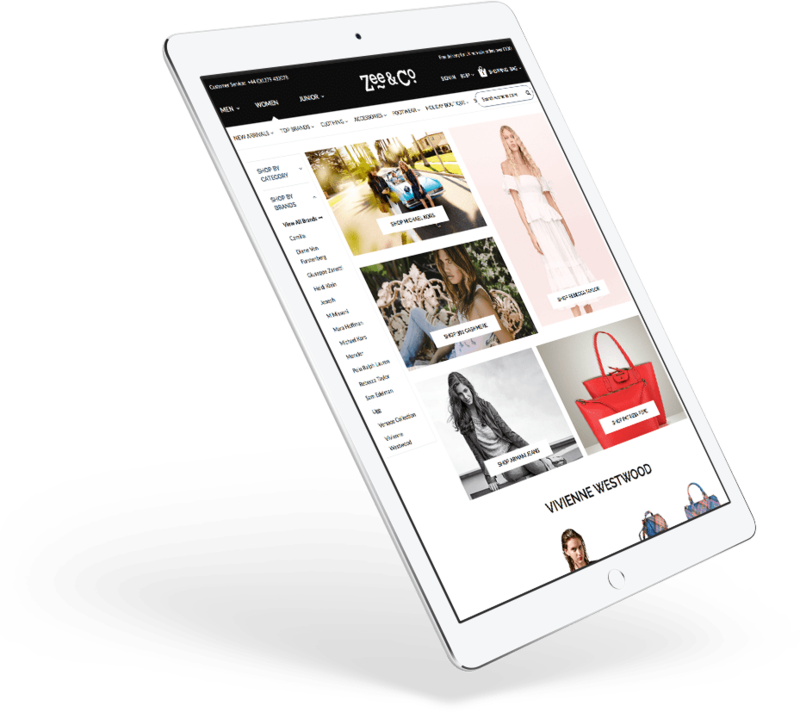 As a result, Zee&Co now has a fast and device-optimised site with a modern and elegant responsive​ ​design. Overall it has resulted in increased conversions and a more pleasurable experience for online​ ​shoppers.